Robert Bruce Shaw assists business leaders in building organizations capable of superior performance in rapidly changing industries. He provides advice on the development and implementation of new competitive strategies aimed at increasing long-term profitability and growth. His specialty is working closely with senior executives, as individuals and as teams, on the management of organizational change. Such work often requires an integrated and disciplined approach to transforming a firm’s structure, culture, management systems and human resources. Robert’s clients span a wide variety of industries including financial services, telecommunications, industrial products, pharmaceuticals, and consumer goods. 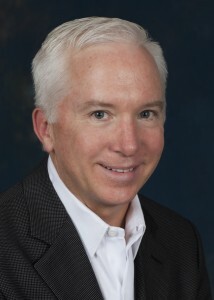 He has authored and co-authored a number of books and articles on organizational performance including “Trust in the Balance: Building Successful Organizations on Results, Integrity and Concern” (1997), “Discontinuous Change: Leading Organizational Transformation” (1995) and “Organizational Architecture: Designs for Changing Organizations” (1992). Robert is a principal in Princeton MCG, a management consulting firm specializing in organization and leadership. Robert is a frequent speaker on the topics of organizational architecture, leadership effectiveness and change management. Previously, he was a Senior Director at Delta Consulting Group. Robert holds a Ph.D. in Organizational Behavior from Yale University. © 2012–2019 Princeton Management Consulting Group. All rights reserved.